1.6 What is, and what is not, included? Payments must be processed before July 15th! Principles, techniques and ethics of digital image processing (DIP); publication of bioimages. Applicants should have own data to bring to the school which they have started analysing, and be able to explain what they need to learn about image analysis to advance their research (explained in application form) – some basic-level experience with a tool like ImageJ is advisable, but not required. UPDATE: Trainees are NO LONGER required to bring own laptop! What is, and what is not, included? Trainees are requested to bring their own laptops (if you cannot bring a laptop please indicate so in application form). We have a limited number of workstations available fpr trainees who absolutely cannot bring their own laptop. Guests can simply call/book online using the 15% discount code ‘EVENT’ for a reduction. Location: Mason house and Salisbury Green are located on the same campus as the venue for the Gala diner and only a 10-15 mins bus ride from the training school venue. Richmond place accommodations are a 15-20 mins bus ride from the training school venue, and 5 mins away from the Gala diner venue by bus. There are 2 other Edinburgh First properties located at Richmond Place. 2018 Rates – 10% off Best Available Rate between Sunday to Thursday on standard double room. Hotel du Vin also offer a 10% discount on a la carte dining on lunch or dinner between Sunday and Thursday. 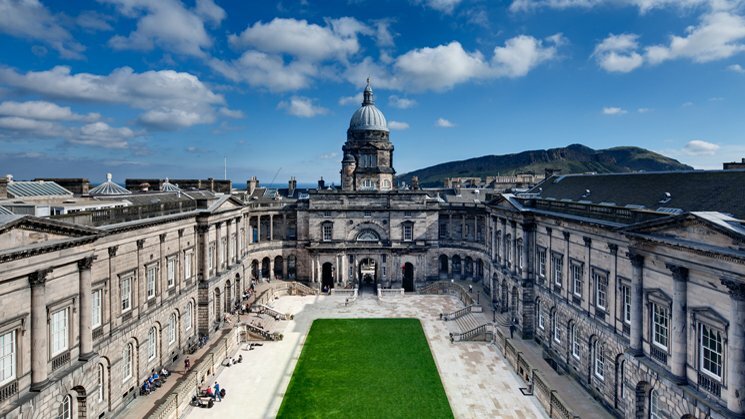 To book please contact Carol Cairns on 0131 247 8964, or email carol.cairns@hotelduvin.com, saying that you are booking for the University of Edinburgh. Jurys Inn offer the below rates for University of Edinburgh for 2018. To book please call – 0131 200 3300 confirming that you would like to book under the University of Edinburgh corporate rate. The local organizers welcome you to Edinburgh! 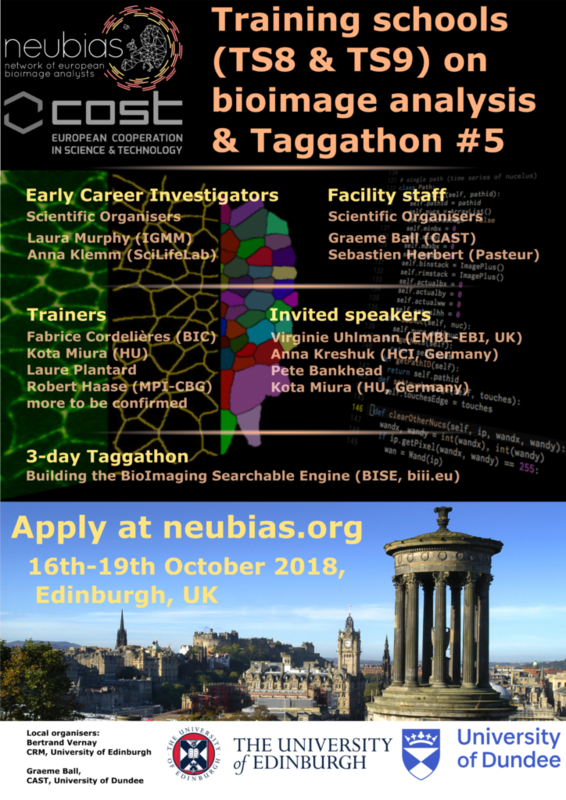 NEUBIAS will offer competitive Travel Grants to a number of the Trainees applicants affiliated to institutions in COST member countries or Near-Neighbour Countries or approved European RTD Organisations (check definitions in COST Vademecum here). Please check in the application form how to apply for those grants by filling the additional fields enabling to submit a justification. We typically provide less than 1/3 of the grant applications received, so any documented information provided to demonstrate why you need a travel grant is important for us to fully assess your request. The grants are supported by COST (funding body of the NEUBIAS Action). Eligibility and reimbursement modalities will follow the criteria/general COST policies (check the Vademecum here). Granted trainees will be notified before June 30th. 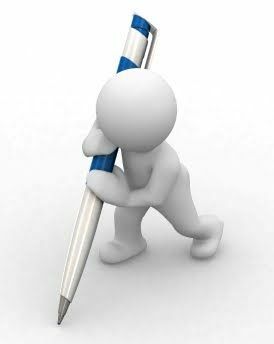 Please be aware that grants can only be executed AFTER the Training School (daily signature on attendance sheets compulsory for grantees). The grants are attributed at a fixed rate (TBD) to cover for travel and accommodation.